You can’t predict life’s special occasions, but you can be prepared with the right camera and lens. The 1 NIKKOR VR 10-30mm f/3.5-5.6 PD-ZOOM lens (27-81mm equivalent) is your portable companion. More compact than the current 10-30mm lens, the 1 NIKKOR VR 10-30mm f/3.5-5.6 PD-ZOOM features a Power-Drive zoom, perfect for shooting smooth video. Pocket-sized convenience and quality at last! The more compact a camera is, the more likely you’ll be to carry it. The 1 NIKKOR VR 10-30mm f/3.5-5.6 PD-ZOOM delivers big performance in a small package making your Nikon 1 sleeker than ever. With a built-in lens cover, you have one less thing to worry about. Reducing camera shake is important, especially in low light or while shooting video. 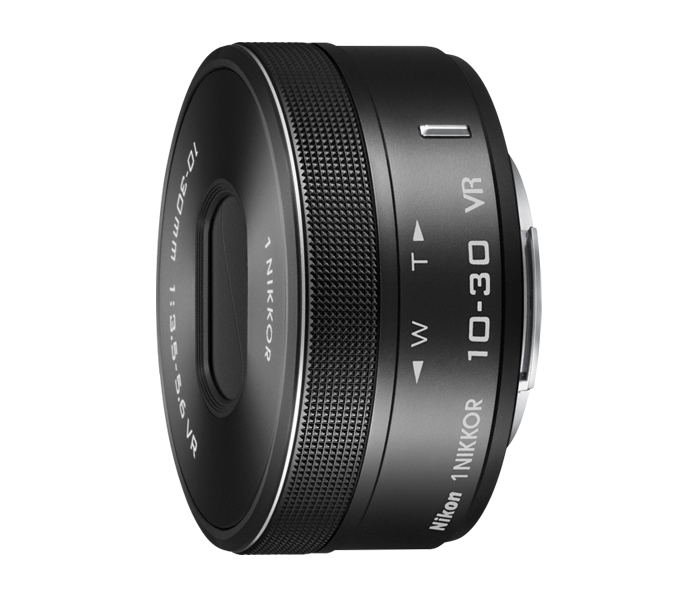 The 1 NIKKOR VR 10-30mm f/3.5-5.6 PD-ZOOM lens lets you adjust the zoom smoothly using a gentle swipe of your finger. Don’t worry about picking up unwanted sounds, the 1 NIKKOR VR 10-30mm f/3.5-5.6 PD-ZOOM is as quiet as it is smooth. Unpredictable moments won’t wait for a lens change. Be ready to capture tack-sharp shots of groups, landscapes, or even striking portraits without delay. When you don’t know what life has in store, the 1 NIKKOR VR 10-30mm f/3.5-5.6 PD-ZOOM is your go-to lens. LCD, Video and Photo Gallery images are for illustrative purposes only. There are no user reviews for this product. Registering your Nikon product allows us to send you (with your permission) important updates, service information and helpful hints, and it makes it easier should you ever need to call in for help. We store all resolved problems in our solution database. If you can’t find a relevant answer, feel free to submit a question to our technical support team.